Too much spare time? Looking for a new challenge, a change of pace or wanting to try something new? If any of these apply to you, or you know someone who fits the bill then why not come join us as a volunteer. Volunteering with Amerton Railway has become even more exciting in recent times as with the purchase of the land in 2012, there is a massive scope for development. 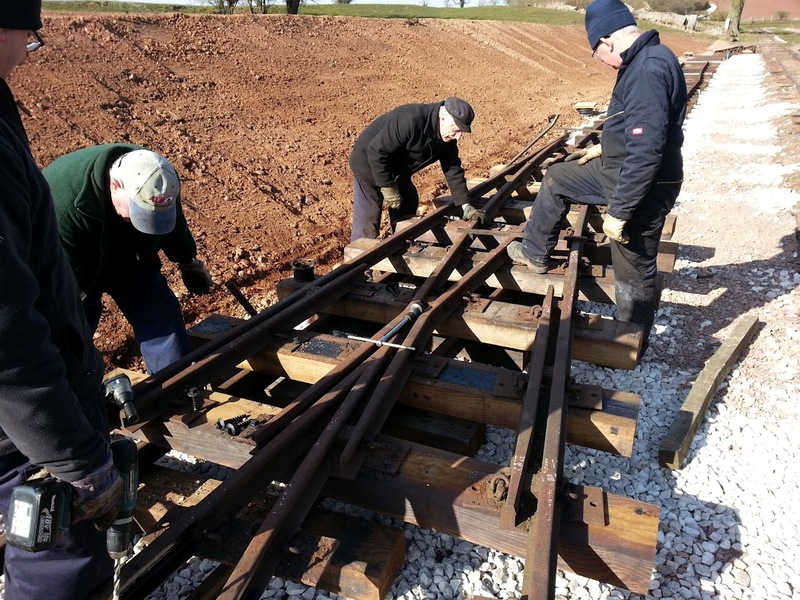 The railway could not exist without the hard work and dedication of our volunteers. 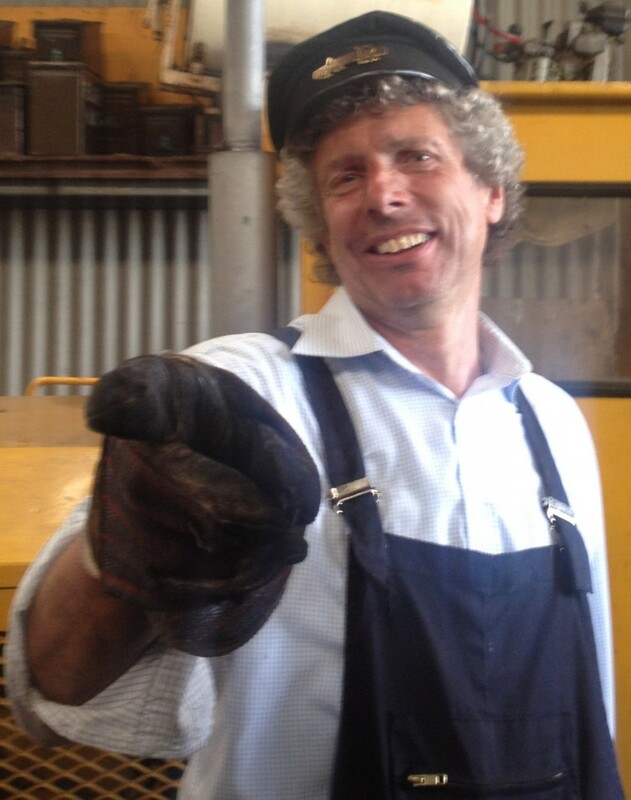 In fact everyone you see around is giving their time to help build, restore, maintain and run the railway. If you have skills that can be put to use then great, if not then don’t worry there are plenty of ways to learn and we will be more than happy to teach you skills that will be with you for life. Volunteering gives a unique opportunity to work with like-minded people and make friendships that will last a lifetime. Volunteering can cover many different aspects of the railway, and all are equally important and cover a wide range abilities. The minimum age 16, the upper age is limitless. It doesn’t matter whether you can give a few hours a year or seven days a week, any help is always appreciated and you can be sure of a warm hearty welcome. 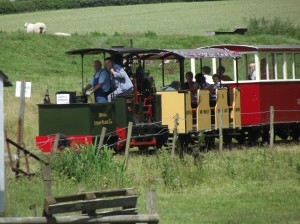 To become a volunteer at Amerton you must first become a member of the SNGRL (Staffordshire Narrow Gauge Railway Limited), this is a legal requirement and ensures that you are covered by the company’s insurance. See our membership page for more information. You can also download a membership form here. Once your membership has been processed you will be invited to attend the railway and participate in an induction where you will be shown the key areas (including the all important tea making facilities) and given instruction on personal track safety. Whilst on site you will be required to comply with the health and safety policy. Constructing new buildings and infrastructure is a key role in the developing nature of the railway. 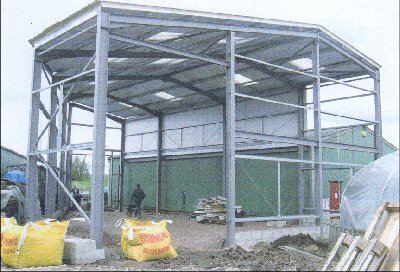 Our ever expanding collection of locomotives and rolling stock need secure, covered sheds. There are attractions, station and platform modifications to be built and all of these require planning, designing and constructing using our volunteer team. These can all vary in size from entire buildings to small modifications. As with all railways engineering plays a massive part in the day-to-day function of the line. This can involve designing new systems such as signalling or monitoring systems, machining of new parts or re-machining of existing parts. Engineering covers such a massive scope of works that there is certain to be a task for you if this is your interest. The wealth of knowledge at Amerton means that expert advice and training can be given often in a one to one setting. Our workshop is well equipped with many machines capable of making fish plates for rail joints to engine parts. Keeping the railway clean and tidy is a vital role and something that should not be forgotten. The range of aspects covered within this area are wide. The entrance to the railway and platform area are the first that things that people see, rubbish collection and the emptying of bins, planting and gardening services make sure that this area is fit for purpose and show how much pride we take in our railway. A couple of times a year a works train will be used to trim the hedges and trees, making sure that there are no obstructions to engines, carriages and rolling stock. Motive Power This department specifically covers the running of engines on our line, covering all aspects such as goods and working trains to passenger services. 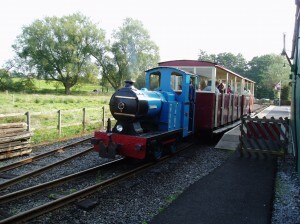 The roles are generally split into the two forms of motive power that we operate, Steam and Diesel traction. Passing out in any of these positions takes time and will be judged on the candidates attitude and expertise in the role, due to the risks and dangers involved. 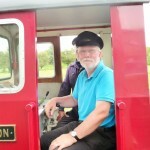 You must be of at least 19 years of age to begin footplate work and 21 to qualify as a driver. Diesel – Diesel drivers fall into two categories, Traction Qualified and Mainline Qualified. A Traction Qualification involves the driver becoming familiar with operating our diesel locomotives. This includes those used on passenger service and goods/shunting operations. Due the vast array of diesel traction we have at Amerton there is a qualification on each engine. Driving the different locomotives can vary greatly in difficulty (Note: Growing a third arm may be advisable for hand operated clutches), and the individual must become familiar with the peculiarities of each. Once qualified, typical jobs involve shunting rolling stock and engines in the yard and operating goods and works trains on non-running days. The driver must be able to understand the dynamics of driving and braking with different types of stock and gradients, and also be able to follow instructions from other qualified personnel as to the required movements. Mainline Drivers are tasked with operating passenger services on a diesel running day. This involves a lot of different factors including acting as a guard, line experience, engine familiarity, dress, contact with passengers, braking system knowledge and an understanding of signals and signs. Once passed the individual will be able to run the passenger service provided that there is a PIC (Person in Charge) present on site. After a suitable amount of time and experience a passed driver can apply to take the written and practical tests to become a PIC and run the railway themselves on a diesel running day. Steam – For many people the sight, sound and smell of a steam engine is a massive attraction and one that Amerton is fundamentally based around. 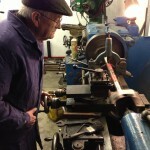 Operating a steam engine is a very skilled job and one which takes a great commitment and understanding. All of our engines require a two-man crew of a driver and fireman to run, working as a team to get the engine clean and in steam, run the train service and dispose at the end of the day. Fireman: A fireman is a demanding but rewarding role, steam engines require a lot from their crews with good judgement, finesse and the occasional precision engineering with a hammer or piece of wood. The firemans day starts early, with assisting the driver to move the engine into the yard and lighting the fire (there is no ignition on a steam engine). The cleaning must be done and the engine needs to be ready for when services begin. During the day the fire must be attended to, pressure maintained, water levels in the boiler and tanks has to be kept a constant eye on and all while listening and looking around to make sure everything is working correctly and being a second set of eyes for the driver. At the end of the day the engine must be disposed of correctly. Steam Driver – This is the highest level of qualification for a steam engine crew. A steam driver has to have all of the knowledge skills and understanding of all of the other motive power positions. As well as these there is a great deal of other knowledge that is required to safely operate a steam locomotive. Realising that something has gone wrong, being able to assess the problem and deal with it in the best possible, safest way is what really tests a divers knowledge and understanding. This can be something simple that will not cause and issues with running, but could be a serious issue that means the driver has the responsibility to ‘fail’ the engine. Training in this position requires determination, a deep understanding of how the engine works and its parts. In addition the individual needs to have a great deal of experience and show good judgement. It can take many years of hard works to ‘pass out’ in this role. Guard – Guards are vital to the running on a steam day, the guard is ultimately responsible for the safe running of the train. He/She tells the driver when to go and when to stop. The duties of a guard are complex including, checking tickets, making sure passengers get on and off safely, securing all doors and chains, assisting wheelchairs, making sure the train has permission to run and the line is set. During travel the guard must keep and eye on the passengers and also watch the train for any problems giving the all clear or signalling danger to the driver as appropriate. The guard needs to have good route knowledge and understanding of running the service. In addition they must be good at interacting with passengers and wear appropriate smart clothing. Guarding is the starting position for those wishing to advance onto footplate work. Ticket office – The most important person on a running day. 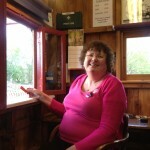 The booking clerk in the ticket office is the public face of the railway and is the first person they will see. As such a large part of the passengers experience is generated by the impression they are given by the first people they meet. This can make working in the ticket office very demanding, especially as some customers may have problems that must be dealt with in a professional manor. On busy days the work can be non-stop, with hundreds of passengers visiting the railway in a day. On most days the booking clerk is also required to run the shop, selling toys, gifts and souvenirs. Whilst the job may be difficult and fast paced the smiles and laughter of the passengers as they arrive and as they depart is a unique experience. Individuals wishing to work in the ticket office need to be punctual, good with money, have a friendly demeanour and most importantly a big smile. Platform Assistant – On busy occasions and special events having someone on the platform can be an enormous help to the guard and ticket office staff. This can range from providing help with the ramps for wheelchair access, directing passengers and providing a public face for people to talk to about the railway and answer any questions. Shop – This role generally is fulfilled by the booking clerk in the ticket office. The railway stocks a number of items for sale including toys, books and gifts. During busy times and special events the demands of this role mean that the shop is manned by a second person. The role requires the same skills as the booking clerk. Shunter – Shunters assist engine crews by guiding them into position using hand signals, or lamp signals at night. The track curves, obstacles, length of train and engine position all serve to obstruct the drivers vision whilst performing shunting operations. A shunter is there to guide the driver ensuring everything is safe and is done the best possible way. This is an essential job and one that requires the person to judge speed, reaction times and stopping distances, which can all vary from day-to-day and on the train formation. Crossing attendant – On special events such as a gala day the level crossing into the central field has to be opened to allow visitors, exhibitors and vehicles into and out of the field. When active in this duty it is the attendant(s) have to ensure the safety of the train and people crossing the line by ensuring the nothing or no one is on the line as a train approaches and passes over the level crossing. On days where multiple trains are running the crossing attendant is also given the duty of setting the points for trains entering and exiting the station limits. PIC – The PIC (Person in Charge) is the one who is responsible for all running on the railway. There are two categories of PIC that people can qualify for. Day running and Gala running. PIC (Day): A day PIC takes on the running of a passenger service on a given running day. This involves opening up the railway, running the service and locking up at the end of the day. The PIC has to know what to do if something should go wrong, as well as knowing all of the procedures involved. A day PIC is a qualified driver that has demonstrated the required skill and understanding, and who has gained sufficient experience. PIC (Gala): A gala day PIC has a massive responsibility, he/she has to co-ordinate the running of up to 6 different engines running in opposite directions. This involves liaising with drivers and crossing staff to ensure goods services run regularly yet do not impact on the passenger trains. A gala PIC is the highest qualified a member can become, they are required to understand the logistics involved as well as the needs of crews and engines. The in-depth nature of the role, and the comprehensive understanding that is required means the PIC must have great experience and have shadowed another PIC whilst training to pass out in this role. As with any railway, keeping the track in good shape is essential. The work that is required to keep the rails and sleepers in good condition is something that is on going throughout the year. Trackwork typically takes place on weekdays, as with no services operating there is time to get the work done. Weekend parties do exist though and often carry our work on sidings and passing loops so as not to disrupt passenger services. Trackwork is a skill best learned by doing and the experience at Amerton from members who have done this professionally, or others who built our line in the first place, enable us to offer first class training. Most work is carried out repairing and replacing rails, however since buying the land in 2012 there are several projects that will require new line to be laid. This will give a unique opportunity for members to understand how a railway is built from scratch. 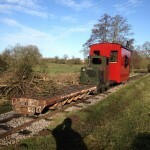 Restoration works at Amerton can cover many different aspects, including buildings, engines, wagons, carriages and other equipment and machinery. At any given time there is a number of locomotives and rolling stock in the process of being restored or awaiting work to begin. The rewards and feeling of satisfaction that is gained from taking something that is in a poor state and returning it to a fully restored condition is one not to be missed. A list of current projects can be found here. Exhibitions – Amerton exhibit at several events throughout the year. If you would like to help out at these, or if you would like to exhibit yourself on our behalf then please get in touch. Magazine Articles – As a member of Amerton Railway you will receive our newsletter the ‘Amerton Gazette’. Our editor is always looking for new articles. These can range from subjects directly involving Amerton to visits to other railways. The subject range is endless so whether you can write a full article, short story or even just contribute a nice picture or two all contributions help. If you would like to get involved with any of these then please get in touch. 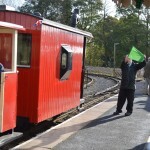 You can do this by coming down or emailing enquiries@amertonrailway.co.uk. Don’t be afraid to come to any of us and ask questions, unless we are doing something very important then we will make every effort to chat with you about the railway, the people and what its like being involved in this amazing place. If your unsure who to speak to the have a look at out Meet the Team section. Here you will find who is who, what they do and enable you to pick them out of the crowd.